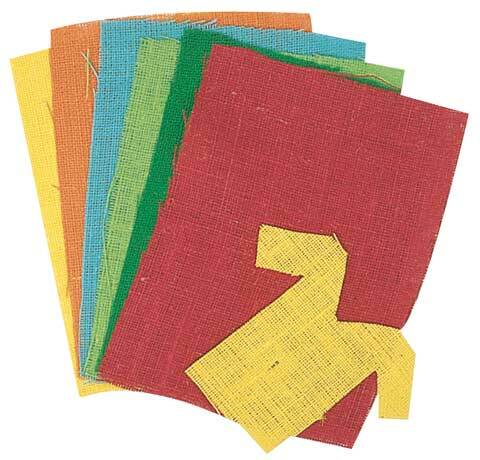 These burlap sheets provide an attractive texture for many art and craft projects. They cut easily for molding, sculpting and gluing. Each package contains yellow, light blue, red, orange, light green and dark green.